The occasional pejorative use of the term “fig leaf” is wholly undeserved. 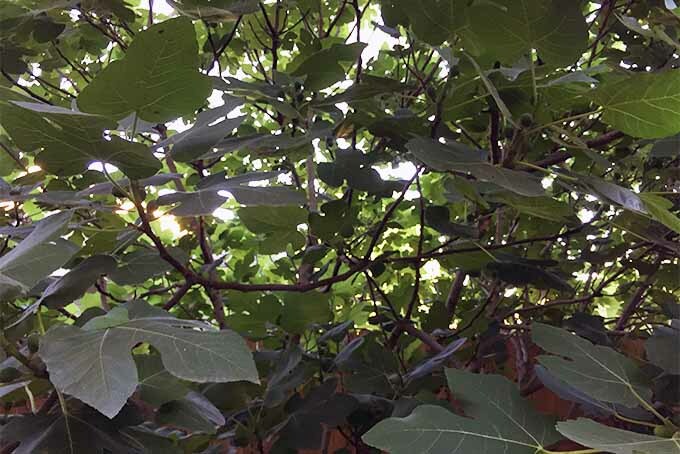 The leaves of the fig tree (Ficus carica) are quite lovely — large, beautifully shaped, and generous in their provision of shade. It is entirely unjust that the leaves of this lovely tree have been so maligned throughout history, likely due to their part in the biblical story of Adam and Eve. Any plant that gives us food, beauty, and shelter surely deserves our respect and admiration, rather than our scorn. Native to the Middle East and northwestern Asia, the tree was brought to North America by Spanish missionaries in the early sixteenth century. Easy-to-grow figs are among the oldest fruits known to humankind and are members of the Moraceae family, which includes the mulberry. These trees can be left unprotected in USDA Hardiness Zones 8-10. Gardeners in northern zones can grow these plants in containers and bring them indoors when temps drop below 10°F. These trees are relatively fast growing and can grow to 20 or even 30 feet tall, and almost as wide. The deeply-lobed leaves can be four to eight inches wide and as long as 10 inches. The shade provided by their girth and large leaves is well-appreciated. In fact, the founder of Buddhism, Siddhartha Gautama, is said to have found enlightenment while sitting under a fig tree. 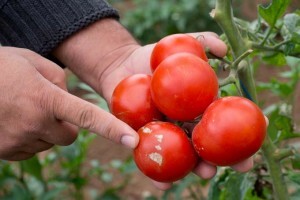 In the right conditions, some species will produce two crops in a year. 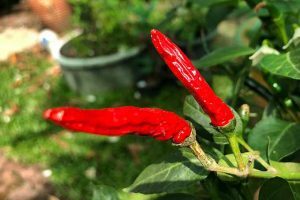 The first crop, called a “breba” crop, ripens in late May or early June, and a second will be ready in late September to early November. 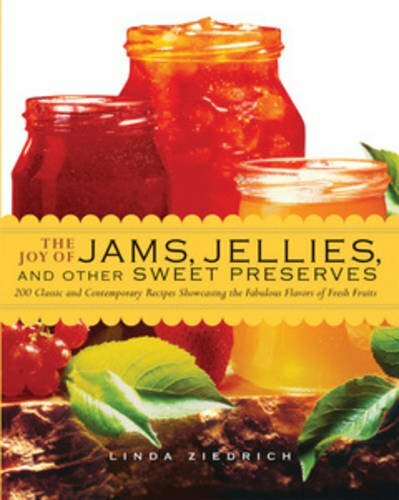 “Breba” or “breva” is a Spanish word that comes from the Latin “bifera,” which means twice-producing, according to Linda Ziedrich, author of “Jams, Jellies, and Other Sweet Preserves.” Want to check it out for yourself? This book is available on Amazon. 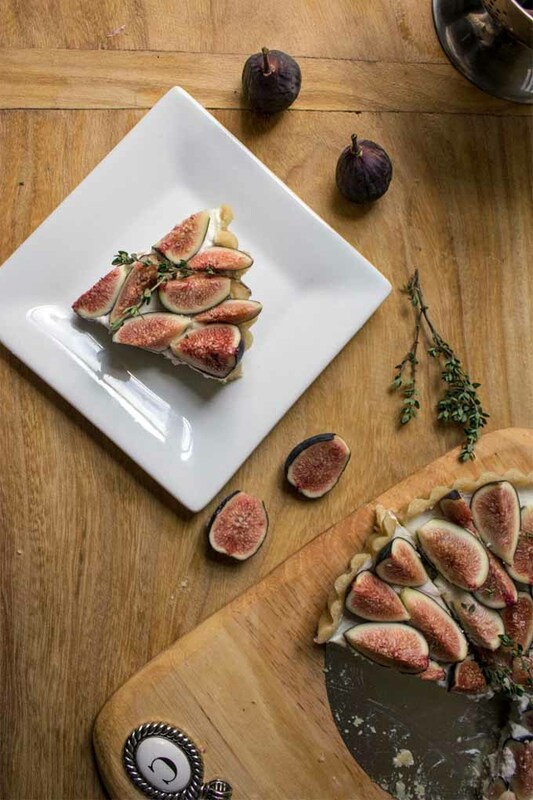 Of the four main types of figs, three — Caprifigs, Smyrna, and San Pedro — are not usually grown by home gardeners, because they have complex pollination requirements. 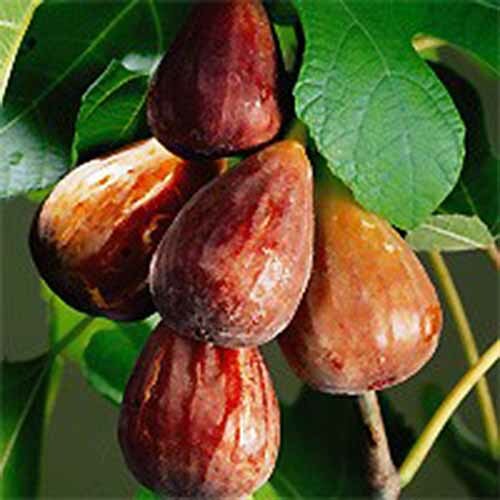 The fourth type, the common fig, is parthenocarpic, meaning the fruit forms without fertilization. Let’s look at a few varieties of this type. 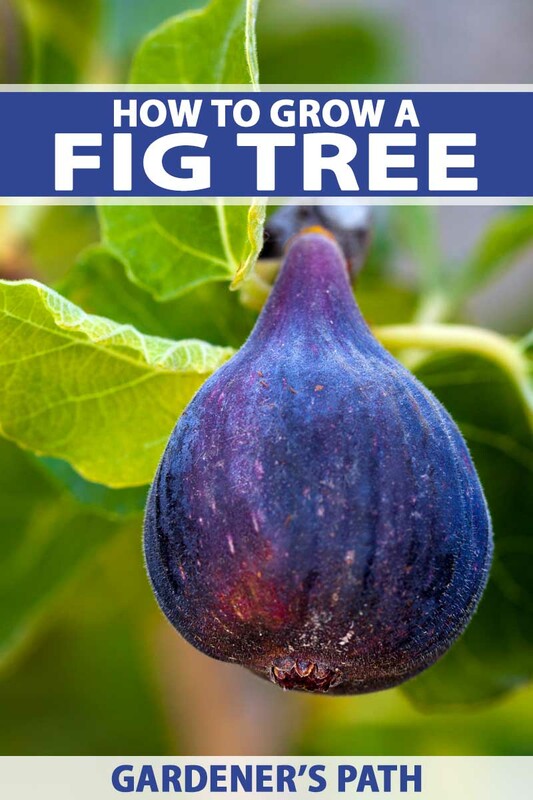 One of the most commonly planted fig trees in North America is ‘Celeste,’ available from Nature Hills Nursery. This large beauty is fast growing and produces medium-sized, sweet, juicy fruits that are brownish-purple and ready to harvest in July. Celeste does not produce a breba crop. The fruit is good both for eating fresh and for preserving. Also known as the sugar fig, it’s hearty to zone 6. ‘Brown Turkey’ is another favorite, especially for more northern gardeners as it’s more cold-hardy than some other varieties. Get Brown Turkey at Nature Hills. This tree produces a smaller fruit that is not quite as richly flavored as Celeste, but it does often produce a breba crop. And that means figs for everyone! Thrives in zones 7-9. 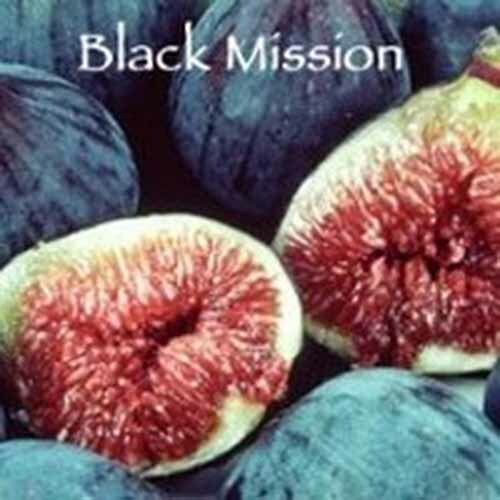 Super-Southern growers might want to try ‘Black Mission’ — it’s a vigorous grower, but not particularly cold hardy. Nature Hills also sells this tree. This variety produces two crops of large, rich-tasting, purple-black fruits that are good fresh or dried. ‘Ischia’ is said to do particularly well in coastal California, whereas the related ‘Green Ischia’ is more suited for the South. Ischia are smaller, lighter-colored fruits with excellent flavor. You can purchase ischia from Hirts, via Amazon. Like college kids on spring break, figs like sun. They are happiest with seven to eight hours of full sun during the growing season. When choosing a site for your tree, don’t underestimate its ability and desire to spread out. It might feel a bit crowded if it’s too close to a wall or fence. These trees aren’t too picky about their soil, although they prefer well-drained loam with lots of organic matter. We jest. Ask permission and take an eight- to 10-inch cutting of wood in early spring. Stick it in a pot of good dirt, with several inches below the surface and one or two buds above the dirt line. 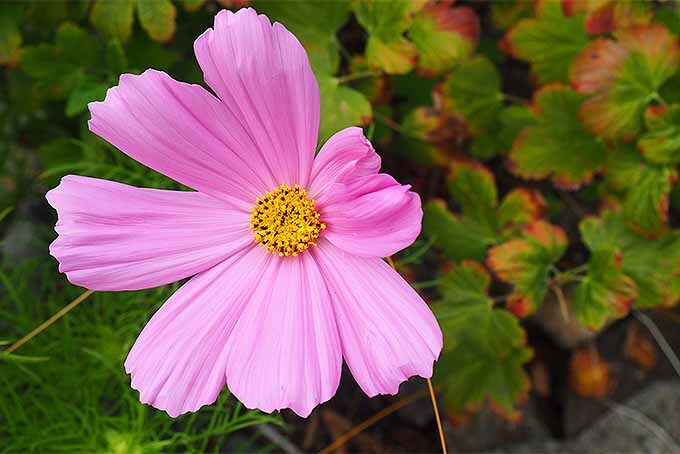 Let the cutting grow in the container for a season before transplanting. My own huge tree is the result of my dear neighbor Louie sharing a potted plant he’d propagated from a cutting he snipped from a tree at the side of a road somewhere. When he lost his own tree during the construction of his backyard pool, he came back to our big beauty to take a cutting to propagate. Plant figs when they are dormant, in spring. 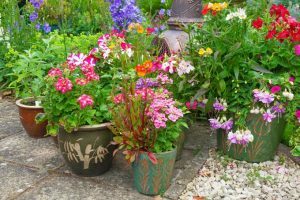 Set container plants three inches deeper than their container depth. 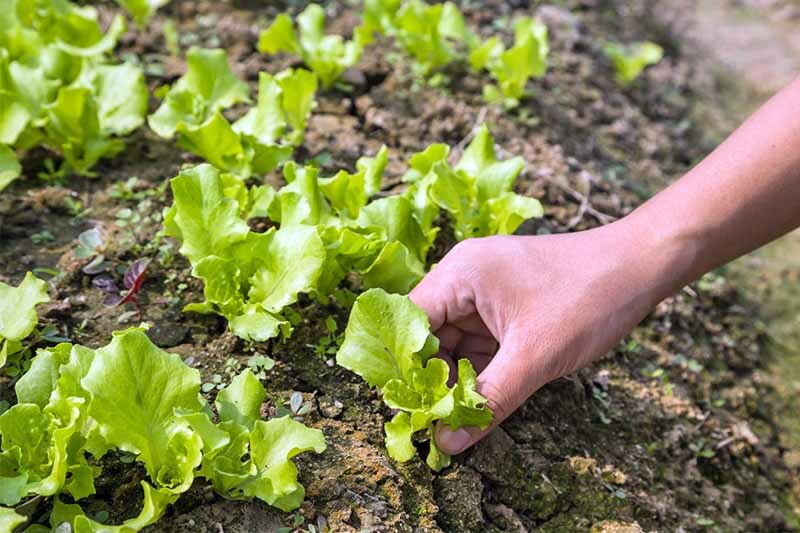 If you’re planting bare root plants, cut back the tops to about one-half of their original length. 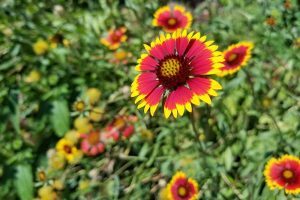 These plants are fairly drought tolerant, but if things get too dry, you’ll want to give them a drink. These trees generally do just fine without any fertilizing. If it seems your tree is being stingy with its spring leaf development, give it a half pound of a balanced fertilizer such as 10 nitrogen, 10 phosphate, and 10 potash to jumpstart it. 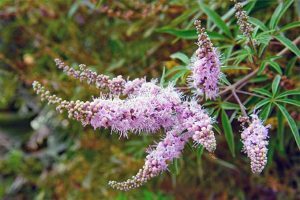 These plants require little or no pruning. An ill-placed branch can certainly be removed to unblock a path if needed, of course, in winter. And you’ll want to remove any deadwood. 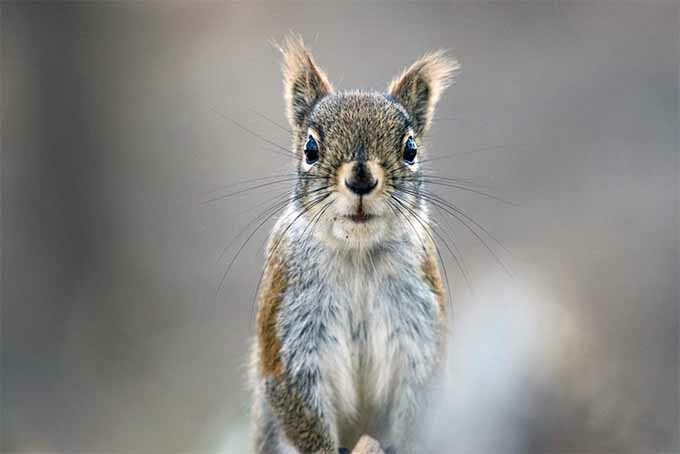 Squirrels. Grrrrrrrr. We’ll come back to this in a minute. Other plagues to look for include root-knot nematodes, which are a serious threat to fig trees in parts of the South. 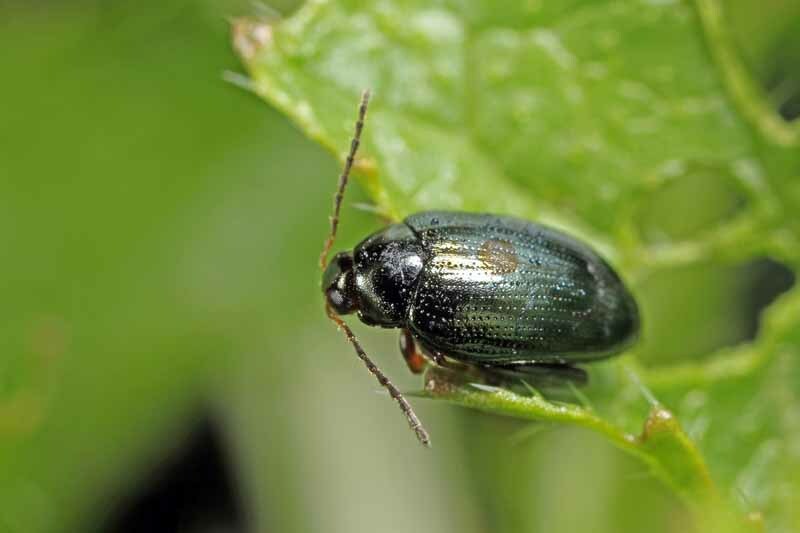 The larvae of these destructive pests infect plant roots, inhibiting their ability to absorb nutrients. According to G.W. Krewer, Extension Horticulturist, and Floyd Hendrix, Plant Pathologist, both of University of Georgia Extension Service, trees infected by root-knot nematodes cannot be cured with chemical treatment. 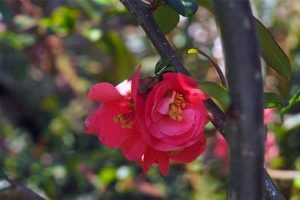 Krewer and Hendrix suggest pruning the tops to balance the weakened root system, which may prolong the tree’s life. Usually, however, infected plants eventually die. Rust is another blight to be aware of. It’s a fungus that shows up on the underside of leaves as raised, reddish-brown spots. Rust is not usually fatal, and unless it’s an annual problem, spraying with a fungicide is not necessary. Figs are also susceptible to various blights. 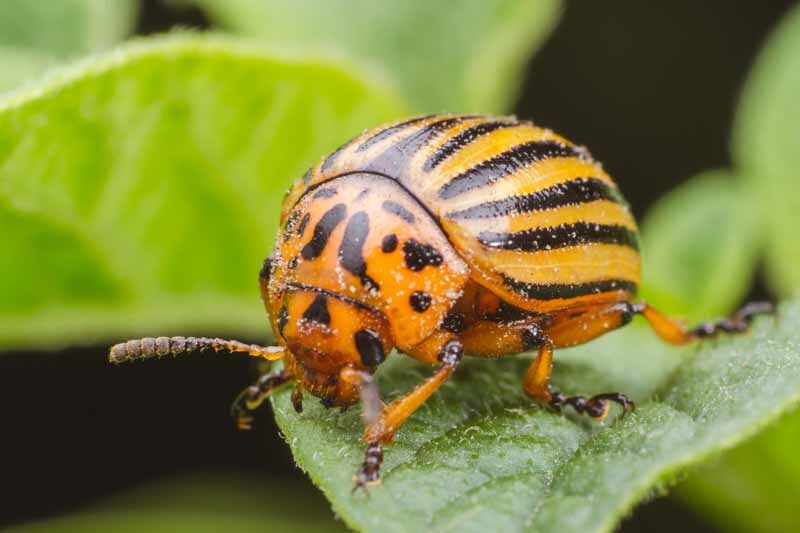 Avoid these by using sanitary gardening practices such as applying mulch, cleaning away dead plant material, and disinfecting tools. 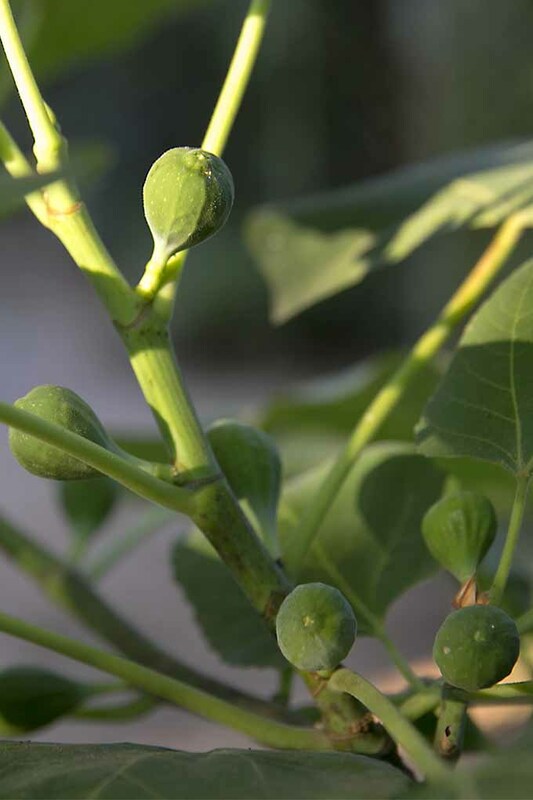 Figs are ready to harvest when the neck weakens and the fruit droops. The ripe fruits will be soft to the touch and the skin may begin to split. 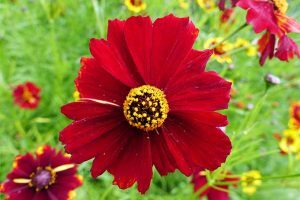 And most varieties darken to a brownish-purple color just before harvest time. You’ll want to grab them at just the right time. Picked too soon, they aren’t yummy — and they won’t ripen once removed from the plant. Here’s the tricky part: You have to time the harvest of the fruit perfectly, so you get them when they’re just ripe, but before the $#&%@#! squirrels get them! Or the birds. Some gardeners cover smaller trees with netting to dissuade wildlife, but this is impractical with large trees. You simply have to be diligent about watching for ripeness and then beating the crafty creatures to the goods. 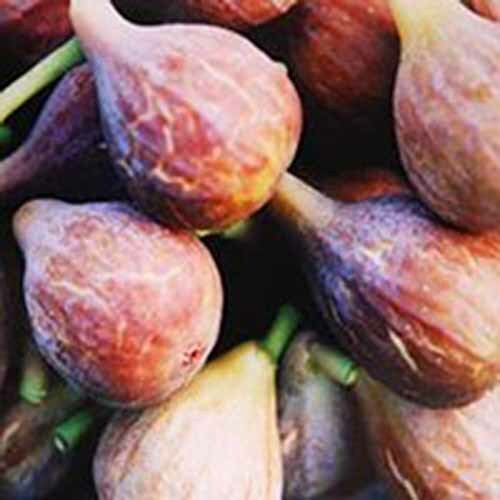 Harvested figs have a fairly short shelf life; store them in the refrigerator for two or three days, tops. To dry these fruits, wash them thoroughly and then dry them with a towel. Place them whole or halved on a wire rack. Place the wire rack on a baking sheet. Put the baking sheet in a 140°F oven for eight to 24 hours. You can also use dehydrator, following the same instructions. 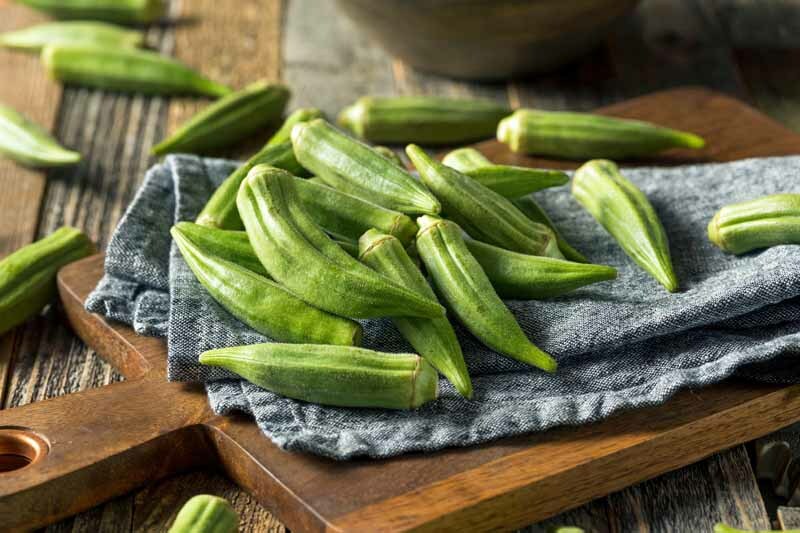 Learn more about dehydrators from this article on our sister site, Foodal. You’ll know they’re dry when the outsides become leathery and you don’t see any juice on the inside. They should still be slightly pliable. Store the dried fruit in the refrigerator or freezer in airtight containers for 18 to 24 months. If eating them like candy somehow gets tiresome, you can preserve the fruits or add them to any number of recipes. 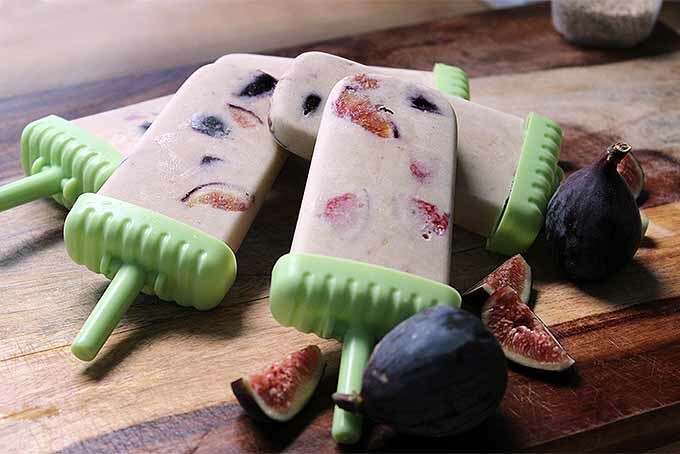 These frozen treats are filling and not too sweet. Packed with figs, banana, and tahini, they do double duty as breakfast and dessert. Photo by Jordan Cord © The Fitchen. Used with permission. Just five ingredients come together in this dessert that’s easy to create, yet elegant and delicious. And talk about a showstopper! Guests will definitely oooooh and ahhhh at this beauty. Get the recipe at The Fitchen. With just four ingredients, this dazzler is a terrific last-minute appetizer for unexpected guests or that party you forgot you said you’d bring something for. Find the recipe and more lovely photos at Hunger Thirst Play. Clearly, we are wholly in favor of dismissing any negative connotations of the use of the fig leaf as a cover for things disagreeable. Indeed, the fig is a most agreeable and generous specimen of a plant whose fruit is more than 50% sugar. We dare you to cast aspersions on this benevolent beauty. In fact, we ask: Why wouldn’t you plant this species? Northern friends, buy a big pot. Southern gardeners, select a wide spot. Soon you’ll all be members of the fig fanatics club! 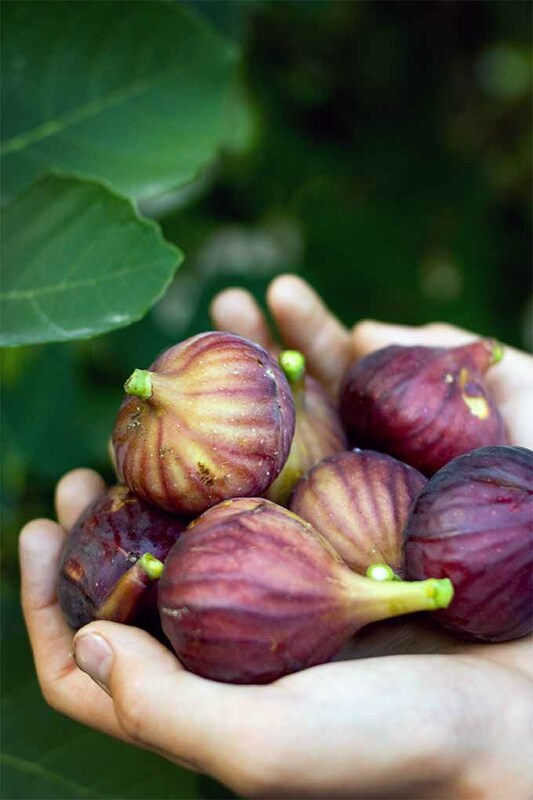 Do you have fantastic figs in your yard? Planning your late-night neighborhood escapade to “borrow” from the neighbors? Tell us more in the comments section below. 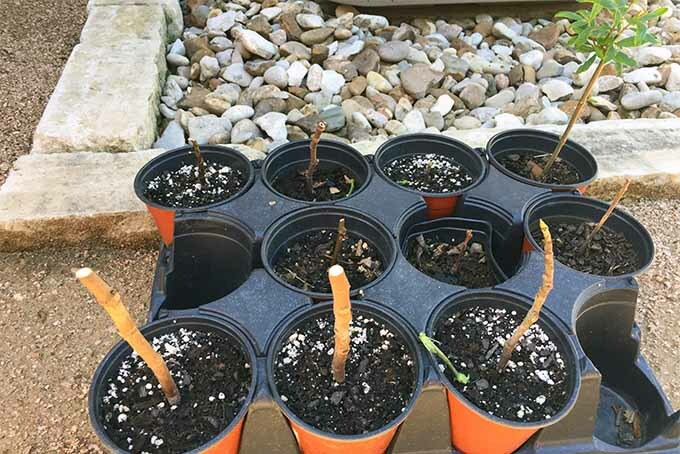 And if you’re looking to expand your homegrown fruit repertoire even more, read our article on how to grow mulberry trees. Recipe photos used with permission. Fig photos by Gretchen Heber and Ralph Barrera, © Ask the Experts, LLC. ALL RIGHTS RESERVED. See our TOS for more details. Product photos via Harvard Common Press, Hirts, and Nature Hills Nursery. Uncredited photos: Shutterstock. We live in Camino, CA, 1 hr east of Sacramento and 1 hr west of Tahoe. We have only been here a year and there is a fig tree in the yard that produces nothing. I would appreciate some advice about what we should do to get production from this beautiful little tree. Yes. May still need a couple years to mature. Try pinching the tips of the branches when 4-6 leaves form to direct energy into the fruits. Continue this monthly. My fig tree is about 15 years old , started from a very old tree. It has been producing fruit for several years. However it always falls off before it can rippen? I’m in zone 9with watering restrictions. The mother tree was almost neglected and produced 3 harvests a year. My 3 fig trees are in pots on my screened in porch. They are covered with ants. How can I treat this? They are beginning to fruit. The ants are probably snacking on aphids, which apparently taste pretty good. Get rid of both ants and aphids with a strong stream of water, and then put down diatomaceous earth around your pots. 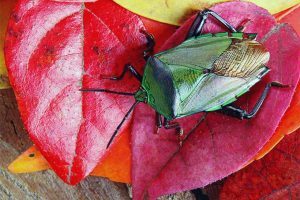 Neem oil, too, is effective against these pests. 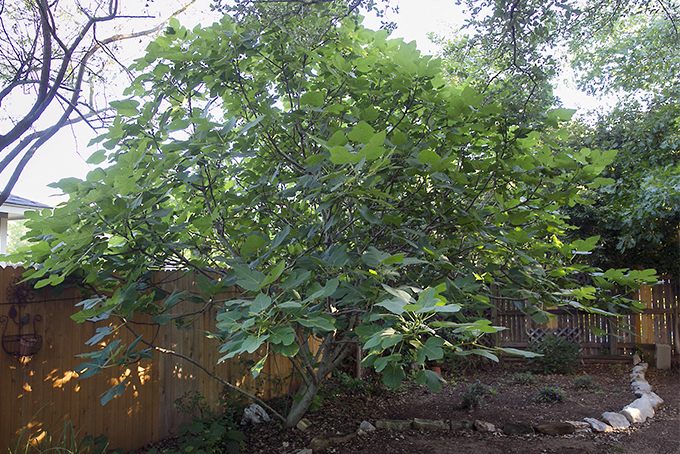 My fig tree is already 4 years old, healthy and bears fruits every year in the summer. The problem is that the fruits don’t get ripe for harvest at all. I live in Vancouver, Canada. I know they can survive the weather here since I’ve seen them in other houses’ yards. Please help! I’m wondering if your tree is stressed? This will cause it to halt the ripening process. Stress can be caused by lack of water or insufficient nutrition. 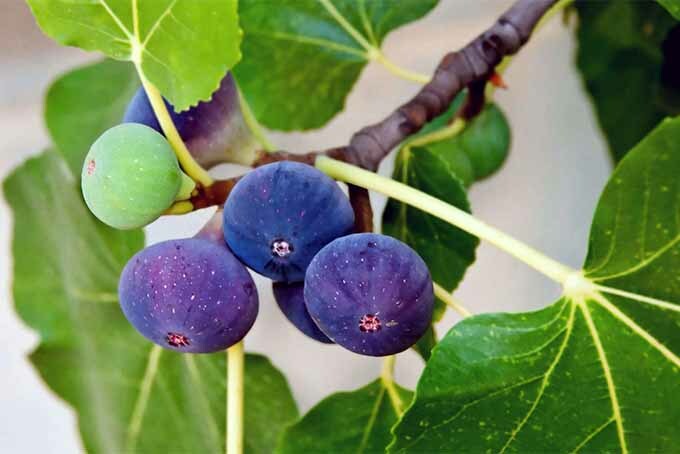 As mentioned in the article, figs don’t usually require much fertilizing, but in your case, I’d probably ensure the tree has plenty of water, and if the fruit still doesn’t ripen, try applying a half pound of 10-10-10. 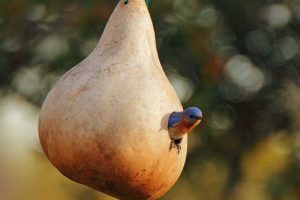 Also, be sure that your figs truly aren’t ripening, and it’s not just that the greedy wildlife is beating you to them! Grow Desert King! 95% of fig cultivars don’t like Pacific NW weather. There is a nice one growing at the entrance to Stanley Park. Mary, thank you for reading my article. Is your tree getting too much moisture? Is the pot in full sun? The fungus likely won’t hurt the tree but its presence indicates that the soil is too moist, so you might let the soil dry out completely between waterings and also put the container in full sun. My fig drops some leaves after the fruits are gone, in late July and August when it’s hotter than the face of the sun here in Austin. My fig tree dies back every winter and comes back in spring. Is there anything I can do to protect it? It is on the south side out by the barn but is out in the open. Great tips, Patricia! Thanks for sharing! As far as the Adam and Eve part (may Allah be pleased with them both of them). Allah commanded them to use those leaves. So therefore they are not treated unjustly. Moreover, humans have a higher status than any other creatures on this earth. Allah created Everything. Thanks for your comment, Sharenzaa. The writer is referring here to the derivation of the term “fig leaf” in its secondary definition, explained by Merriam-Webster’s dictionary as “something that conceals or camouflages usually inadequately or dishonestly.” When used in a more secular and modern context, there’s a negative connotation here, one that the plant perhaps does not deserve. I have had a fig tree for 10 years or more. Lots of green edible figs. This year, loaded as usual. Green, hard as rocks, never ripened yet. I live in Punta Gorda, Florida. Did your fruit ever ripen? Mine in Texas don’t usually ripen until July. If they didn’t ripen, they might be stressed from lack of water or nutrients. Thanks for reading the article, Hosein. Some fig trees won’t produce fruit until they are as much as six years old. I have 3 fig trees which are outgrowing their containers. I want to plant them out but am worried about animals eating the leaves. Are they poisonous. 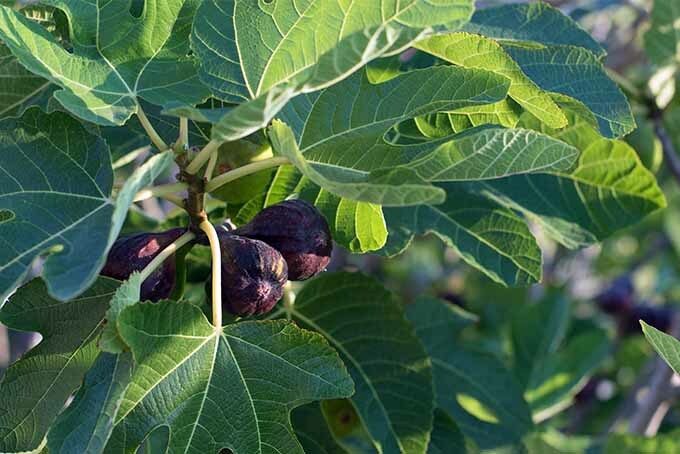 The leaves of the fig tree discussed here (Ficus carica) are not toxic to pets. The leaves of the household plant Ficus benjamina, which is called ficus or fig, are indeed toxic to dogs. 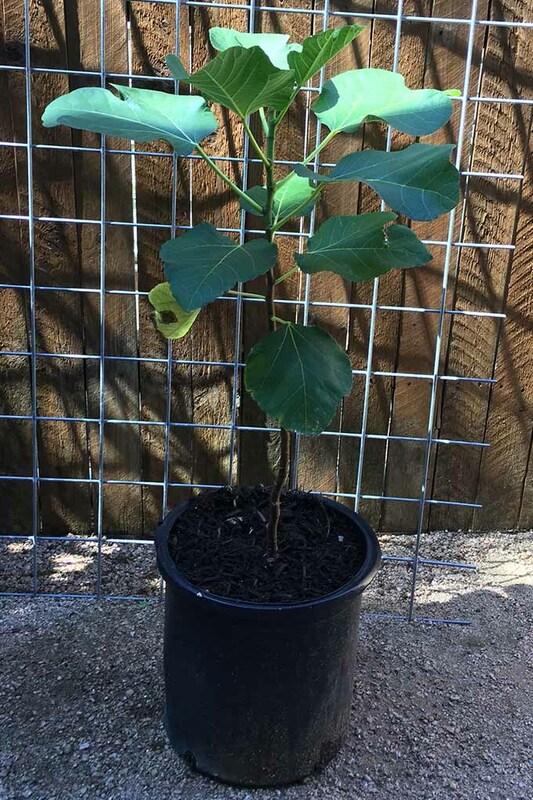 Just purchased 3 fig trees this spring. They’re in pots for now. Two are supposed to be cold hardy to zone 7 while the third can be if provided a warm southern wall. We’ll see. They’re quite content, for now, being babied in their pots. Keep growing in a larger pot until you can ID the variety. Store in an unheated location over winter. Hopefully the plant is fruit bearing not ornamental. 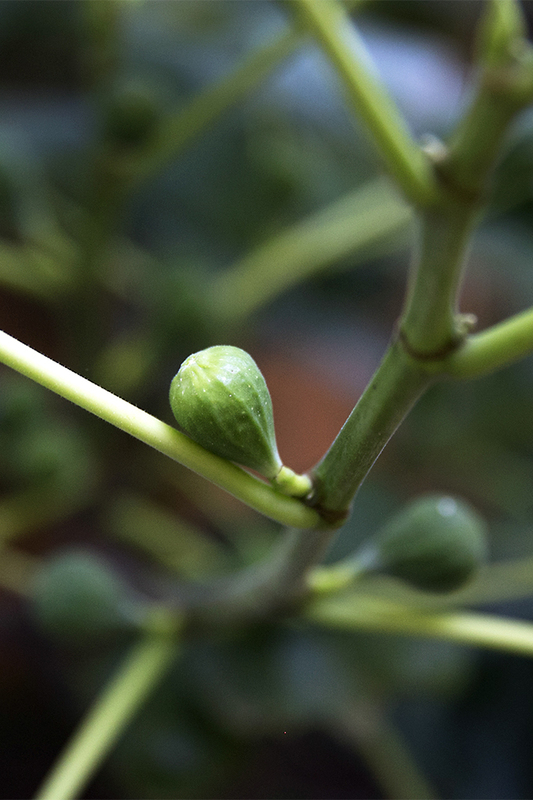 Pinch the growing tips to get figs to develop. Buy a Hardy Chicago next. OH! I’m from Buffalo originally, so I know what winter means! I think you would do best to wait until late winter/early spring to take your cutting. Insert the cutting into a container of good dirt, and let it sit for about a year, until the next planting season. You can then transplant. Have a fig tree given to us last year. Cut back and it has grown four foot high, with over 2 dozen fruit on it. Should I put in a pot as worried it overtakes garden or leave it? I live in Wales. The fruit is about an inch big and green. Can’t believe I have so much fruit!!! Congratulations on such a fruitful tree! 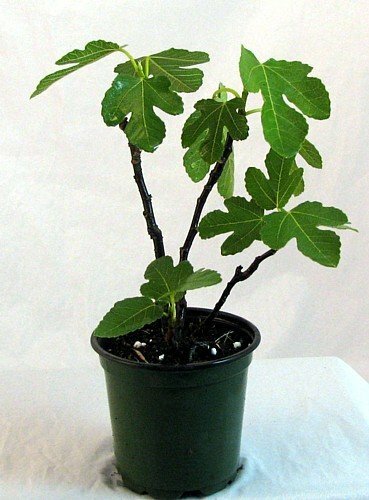 Fig trees can get quite large, so if you don’t have a big space for it, you might want to keep it in the pot. It seems to be happy and giving you plenty of fruit, so maybe there’s no reason to transplant it. I have had my fig tree for about 6 years. We’ve been through a lot together. This year I got about 20 to 30 figs off of the tree. My question: The tree is about 4 feet tall and has not grown a bit in all of these years. Is this unusual? Is there anything I can do to help it grow bigger? Thank you for this article Gretchen! This is a great read. I love how you break down everything about how to grow the tree, but then provide great recipe ideas too! 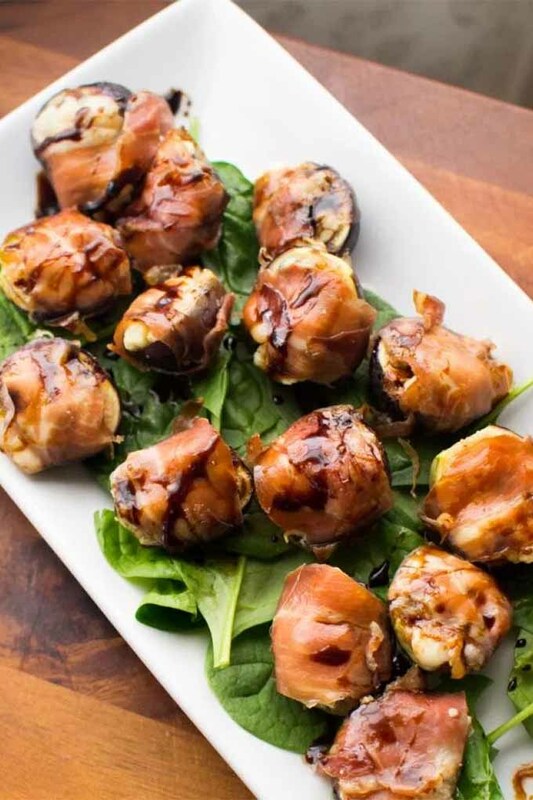 I recently tried the prosciutto and gorgonzola wrapped figs, and they were incredible. Thanks!